Up-to-date results of the NRA National Rifle & Pistol Championships are available online at the NRA website. The Pistol events are concluded, the Smallbore (rimfire) 3-position matches finished on July 18, and the Smallbore prone events will wrap up today, July 24. The High Power Rifle Championships commence August 4th. 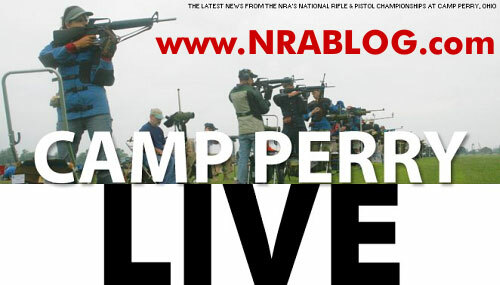 Daily updates, complete with interviews with shooters, are being published on the new NRA BLOG. This blog, with daily entries from two correspondents at Camp Perry, features plenty of photos, late-breaking news, a full schedule of events, and links of special interest. You should check it out. Share the post "Camp Perry Match Results Available"